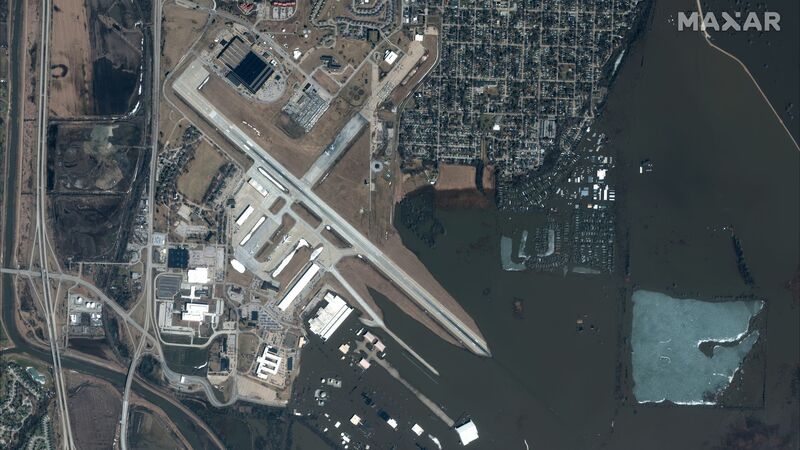 Satellite view of flooding at Offutt Air Force Base in Nebraska, HQ of Strategic Command. Image: DigitalGlobe. A combination of a cold winter, rapid snowmelt due to mild air and heavy rain from a massive "bomb cyclone," and other factors led to some of the worst flooding on record in Nebraska, Iowa, Minnesota and Wisconsin, and is beginning to affect downstream states. The extreme nature of the floods — which have overtaken large parts of Offutt Air Force Base, where America's nuclear forces are coordinated — is best seen from high above. Why it matters: The floods have wiped out farms, killed an unknown amount of livestock, marooned entire towns and destroyed large infrastructure as rivers have risen, sending surges of water and chunks of ice churning downstream. While waters are receding in many locations in Nebraska, flooding is occurring further southeast into the Mississippi River Valley. As of Tuesday morning, 8 million people were still under flood warnings. Nebraska Gov. Pete Ricketts has called the floods the "most widespread disaster we have had in our state's history." 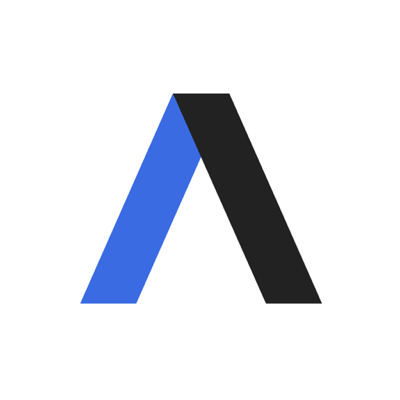 While studies have not tied this event directly to climate change, research has shown an uptick in precipitation extremes across the U.S. in recent decades as more water vapor is added to the air. Before and after photos of flooding on the Platte River in Nebraska. Images: DigitalGlobe. Before and after photos of flooding in Pacific Junction, Nebraska. Before and after photos of flooding at Offutt Air Force Base, Nebraska.